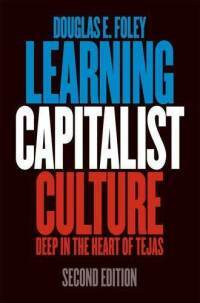 I’ve chosen several ethnographic monographs about how people learn capitalism. I am quite obsessed with this topic because what I see happening in China is people learning capitalism – like learning how to be a consumer, investor, borrower, and credit card users. Insurance ads are plastered to billboards, malls are open til midnight, and teenagers are learning how to shape their identity through products. Though I’ve always felt helpless when I am observing “capitalism.” Coming from a sociology department, I’ve been heavily trained in Marxist theory. Marxism helps me understand how labor is a commodity and how people become alienated from their own work. But Marxism doesn’t help me understand why consumers want commodities, how financial markets work, and why capitalism continuously mutates. I’ve found three monographs that address the questions that Marxist theory doesn’t address and that will hopefully help me better understand my field site. Douglas E. Foley’s Learning Capitalist Culture: Deep in the Heart of Tejas, is a 36-year ethnographic study on how a Mexican-American community negotiates racial tensions with the dominant white population. Foley gives a biting account of how the very attempt for Mexcian youth to learn traditional American values can often reproduce class inequalities and exacerbate racial tensions. I’m really excited to read Foley’s response to Paul Willis’s argument about class reproduction in his seminal book, Learning to Labor: How Working Class Kids Get Working Class Jobs. I chose Foley’s book because his work is super relevant and will help me process what I’m watching in China – the arrival of rural migrants in cities and their consumption of games, clothes ,and entertainment in malls and online, often times mimicking elites but other times inventing new rituals. Foley’s book also brings up questions around the dominance of cultural markers that Pierre Bourdieu brought up in Distinction: A Social Critique of the Judgement of Taste. 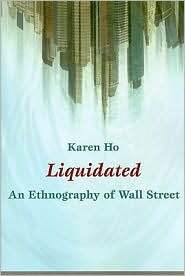 Karen Ho’s Liquidated: An Ethnography of Wall Street, is an insider’s ethnographic account of the banking world on Wall Street. Her research reveals that macro market volatility is an ingrained part of corporate culture. Ho’s research provides so much insight into how banker’s ideas about their own self-worth reproduce our current financial system. In their world, volatility and liquidity are part and parcel to an “efficient” market and they believe in this so much that they hold themselves to the same standard. The everyday experience of job insecurity is normalized and valorized under the belief that only the best workers survive. I am quite obsessed with learning about financial history because I don’t think I can understand our world and China without a strong grasp of the ascent of financial capitalism. I am fascinated by why so many middle-class in China invest in the stock market and how they define “transparency.” And for investors outside of China, the question at the end of day is, how do I make money in a market with such little transparency. It’s so interesting to hear them ask this question when I think the US banking system is incredibly un-transparent. I want to understand how bankers define transparency in a profit-making context. 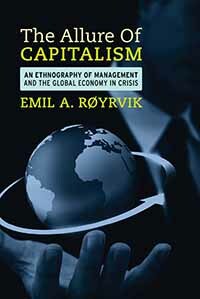 I am already anticipating that these three ethnographies of capitalism are going to be quite complex and bring up a lot of questions, so I’m going to have to do some background research on finance. I’m going to start with some financial history from David Graeber (Debt: The First 5,000 Years and Toward An Anthropological Theory of Value: The False Coin of Our Own Dreams) and Niall Ferguson (The Ascent of Money: A Financial history of the World). I’ve already been reading a condensed version of Carroll Quiqley’s Tragedy and Hope, and all I can say is that it’s absolutely mind-blowing. I’m not sure if i will have time for Jackson Lear’s Something for Nothing: Luck in America, but I’ve been told that this book is a must read for understanding America’s culture of risk. Several people have recommended John Cassidy’s How Markets Fail: The Logic of Market Calamities as a good primer on the economy. Lastly, I’ve already found several blogs that are provide great insight into the world of banking. Joris Luyendijk’s Banking Blog at the Guardian is a anthropological dive into the world of finance. Michael Lewis’s An Investment Banker’s Take on Life is the banking world from a banker. I like Felix Salmon’s finance blog at Reuters because he writes in an accessible way and provides a snapshot of what news most investors are reading everyday. Thought, it’s a bit unfair to except for ethnographers to become “writers.” Ethnographers have to dedicate so much time to explaining how they got their data and then contextualize it all within research questions, sampling biases, outliers, data interference, methodological decisions, theoretical arguments, and reflections. After addressing all these factors, the creative voice can be dampened. I’ve realized over the last few years that I’m not so sure I want to always write like an academic ethnographer. I don’t find writing ethnography for an academic audience to be very liberating or creative. And that’s ok. I see the value in it and I still want to write up my ethnographic fieldwork, but journal articles don’t accomplish what I believe is one of ethnography’s public projects – to engage a wide audience in universes that they may not have had a chance to witness – writers and journalists do a really good job at doing this. So my second list is comprised of non-fictional books from writers and journalists. 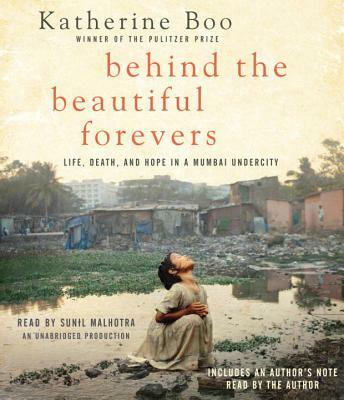 I’m excited to read Katherine Boo’s Behind the Beautiful Forevers: Life, Death, and Hope in a Mumbia Undercity. Boo is a journalist who has always focused written about the underclass and I want to study how weaved in her first hand experience with the main characters. 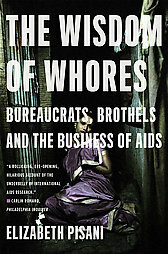 Elisabeth Pisani wrote about her first hand experience with HIV/AIDS works in The Wisdom of Whores: Bureaucrats, Brothels, and the Business of AIDS. I want to understand how she addressed a serious topic by weaving in her own voice and her main characters, who were all involved in her fieldwork. I’m re-reading Philip P. Pan’s Out of Mao’s Shadows: The Struggle for the Soul of a New China because it’s so well-written, insightful, and relevant. He tells us about China told through the lens of several primary characters, which highly compliments of a character driven ethnographic work (the kind that I’ve been doing). 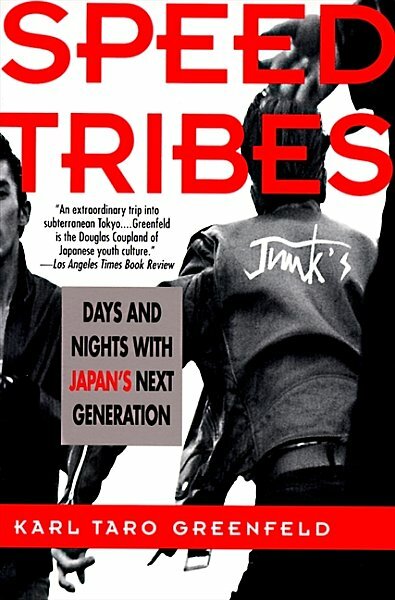 Philip P. Pan suggested that I read Karl Taro Greenfield’s Speed Tribes: Days and Nights with Japan’s Next Generation for inspiration on writing up my stories. Anything Pan suggests is a must read. 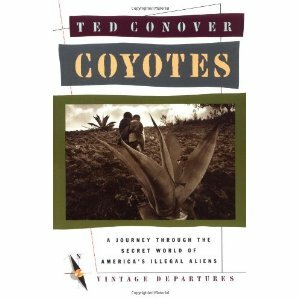 Philip P. Pan also suggested that I read Ted Conover’s Coyotes: A Journey Across Borders With America’s Illegal Migrants. I’m super excited to read this because I research Mexican migration, so it’ll be fascinating to read a journalist’s recounting of migration after all these years of reading academic analysis of migration. 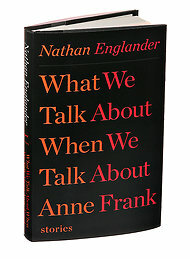 Nathan Englander’s latest book, What we Talk About When We Talk About Anne Frank is a much read. I love all of Englander’s book and have been wanting to read his latest one for the last year. Amazing writers do either of two things – make the ordinary seem special or make something really special seem even more special. Englander does both. Short stories are difficult to get into and out of – because the author needs to quickly connect you to the characters and then when it’s all over the reader needs to disconnect enough to move onto the next piece without lingering so much on the previous piece that is distracts her/him from the new piece – but the reader needs to linger long enough to remember how special each story was. This is the only dilemma in reading Englander’s short stories – you want each story to never end and at times you’re not ready to move into the new story. And when you do move onto the next one, it’s like you were forced to break up with the previous characters without a good bye letter – it’s like they broke up with you over the phone. But Englander is such a skillful writer that he moves you into the new story so stealthily that you forget at what point you were able to connect with the new characters. By the time you’re done with the whole book, you feel like you want to invite everyone into your home because you have so much empathy for each one. Nathan makes you feel as if you could understand his characters if you were to meet them in person – and his characters verge on the edge of psychotic to functionally insane. And to me, that is beautiful – because if a writer can leave me a bit less judgmental of our world, then that is success. I love short stories – they remind you that amazing writing doesn’t have to take place over 300 pages – a good story can unfold in just a few pages. 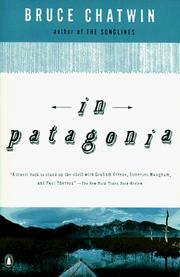 I’m re-reading Anand Giridharadas’s India Calling: An Intimate Portrait of a Nation’s Remaking and Bruce Chatwin’s In Patagonia. 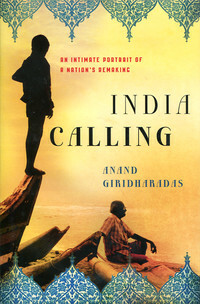 Giridharadas’s and Chatwin’s book were the only books that I read cover to cover when I was in fieldwork last year. I want to re-read them again to analyze their storytelling techniques. Giridharadas splits his chapters up by themes, like Ambition and Love, and then in each chapter his characters appear, disappear, and re-appear. Chatwin writes in 3-5 pages sections and his sparse style brings his subject of interest to life – a geographic region that is known more for being cold than a goldmine of myths. Both Giridharadas and Chatwin are able to bring you into their lives as if you were their best friends – just you know hanging out in India or in Pantagonia with them. In a way, both of them are anthropologists without knowing it. They both have an eye for details and emotions and can skillfully move you through the complexities of great social issues without making you feel like you had activists knocking on your door to sign a petition. I know these two books are odd to recommend side by side, but I read these these two books tougher at the same time and now in my head, I will forever think of Giridharadas’s and Chatwin’s book as Indiagonia – it’s all one big beautiful story of characters. Some of the best story tellers are comedians. 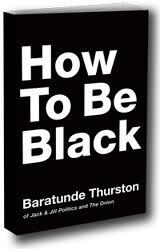 And one of my favorite living comedians is Baratunde Thurston. Who would you rather learn about the sociological complexities of racism: William Julius Wilson or Baratunde Thurston? Despite how much I love William Julius and deeply respect his work, I would pick Baratunde. Last year, he published, How To Be Black, a book that is part an instructional guide, part memoir, and part social commentary. This is the book I will be reading on my stoop with my dog and after I finish some heavy chapter in an ethnographic monograph about methods. I have to sneak in one more book that doesn’t fit on my list at all! My colleague, Jenna Burrell, who I blog with on Ethnography Matters, has just published Invisible Users: Acting With Technology Youth in the Internet cafe of Ghana (MIT Press, 2012). There unfortunately is a shortage of ethnographic monographs, much less any that address technology use and Africa, so this is a very important contribution to the literature. I can’t wait to dive into this book over the summer. 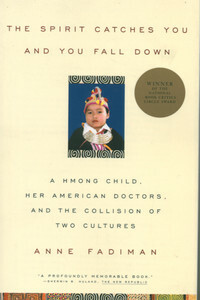 Anne Fadiman’s The Spirit Catches You and You Fall Down is a book that I’ve been wanting to read since college. I will finally get to read this infamous account of an epileptic baby that became brain dead after encountering a series of communication failures between western doctors and her parents. I also want to read this book because I want to see how the Anne Fadiman was able to write the story in such a way that one of the baby’s original doctors wrote a comment on Amazon that he believes Anne’s recounting was faithful to the events. I recommend you read what he wrote – it will make you want to buy the book. A friend recommended that I look into Anthropologist, Ruth Behar’s work as a model for an academic who intertwines personal stories with fieldwork. An Island Called Home: Returning to Jewish Cuba, is a personal memoir of Ruth’s return to Cuba to search for the Jewish population that once lived there. 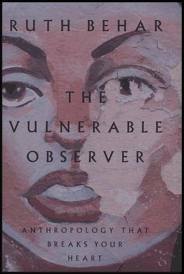 I also want to read Anthropology that Breaks Your Heart: The Vulnerable Observer. I think this book was written for me! Ruth encourages a style of anthropology that introduces the personal voice. I can’t wait to pick this one up! 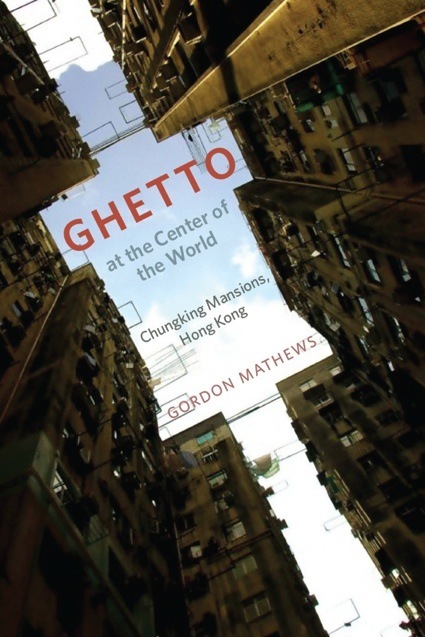 After seeing Jay Owen’s reading, I want to add one book that I forgot about – Gordon Matthews’s Ghetto At the Center of the World: Chungking Mansions, Hong Kong. I want to see how Gordon tells the stories from his field site that all took place in one building. 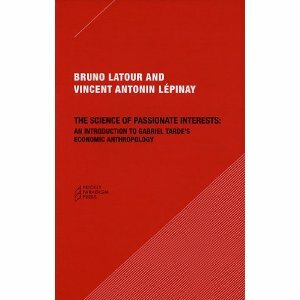 Bruno Latour’s and Vincent Antonin Lepinay’s The Science of Passionate Interests: An Introduction to Gabriel Tarde’s Economic Anthropology is a recommendation from Christina Dennoi of Modern and Immaterial Things. This book goes nicely with List 1 books. Latour and Vincent Lepinay deconstruct French Sociologist Tarde’s question, “How can economics become genuinely quantitative? ” Yes – that question alone makes me want to dive into this book! A lot of classics on this ist. Has inspired me to revisit some of the things I read when doing my Masters to see how they might inform some of my current work. After Method by John Law being high on that list. Might I also suggest “Reassembling the Social” by Bruno Latour.